Doc Robot K-176. A series of monstrous robots whose skills, attacks and even weakness change radically depending on which program is installed. Just when you think you’ve cleared all 8 robot master stages in Rockman 3, these guys jump out of the shadows and take over 4 of the sections you thought you were done with. Emulating the abilities of the 8 fallen bosses of the previous installment, Doc Robot provides an unexpected and difficult challenge at the midway point of the game. Possessing the capabilities of all robots! By swapping out the program data of all the robots Dr. Wily has constructed, this robot is able to adapt other robots’ moves as its own. With the powers of all robots combined into one, this is truly one dreadful robot. Of course, that line of thinking never stopped Wily from arranging all those robot master rematches, or from constructing the similarly-themed (but far more minimalistic) all-purpose robots seen in Rockman 10‘s Wily Archive boss battles. Doc Robot’s name in Japanese is pronounced and written as Dokurobotto (ドクロボット), a portmanteau of “dokuro” meaning skull and “robotto” meaning (what else?) robot. His skull-shaped face goes well with Dr. Wily’s general skull theme, certainly befitting of being one of his toughest and most versatile creations. This robot’s very body seems to be like a cybernetic skeleton, waiting for the ghosts of the past to inhabit and come alive once more. 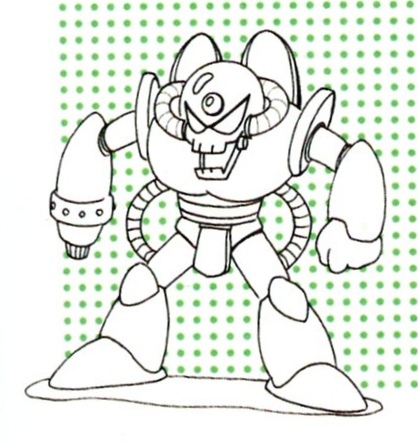 Looking closely at the in-game graphics for Doc Robot below (obtained from Sprites, Inc.), you can see that Doc Robot’s color scheme for the original 1990 Rockman 3 doesn’t quite line up with the colors in the official art seen above. A universal combat robot, capable of performing a diverse set of attacks by changing its program. So now the NES’s red and gold color trim makes more sense, but what about that MK-2 business? If that’s Mark 2, what happened to Mark 1? 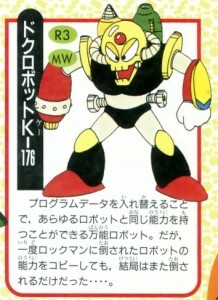 Did they confuse his name with the Yellow Devil MK-II, or was the “2” a reference to Doc Robot’s use of the robot masters from the second game? Why was the color scheme changed later on? And it wasn’t just the name and the coloring that experienced some changes, either. Doc Robot’s design itself underwent several revisions before the final design was selected. Some think the basic form of Doc Robot was based on the Pirate Robot (also sometimes called Dokuro Robot or “Skull Robot”) from Dragon Ball. 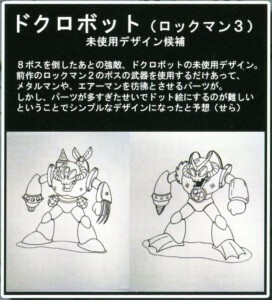 The image to the left was a rough sketch drawn by Inafune and published in R20 on page 207, showing a more simplistic Doc Robot with a different torso design and scarier-looking eyes. 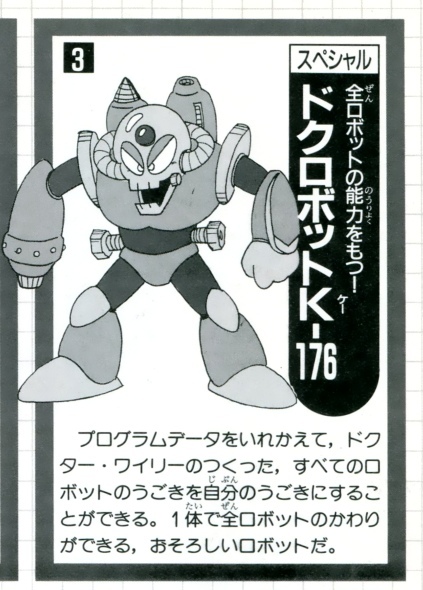 A couple more concepts were published in 2010’s Rockman Kai Special Booklet and examined by Sera of Tetukuzu Okiba (who composed and did the original animations for Airman Ga Taosenai/Can’t Beat Air Man). The design on the left looks like a decked out armed-to-the-teeth combat robot, complete with an arsenal of weapons like a spiked buster and claw arm, back-mounted drill and cutter attachments and waist-clipped grenades. 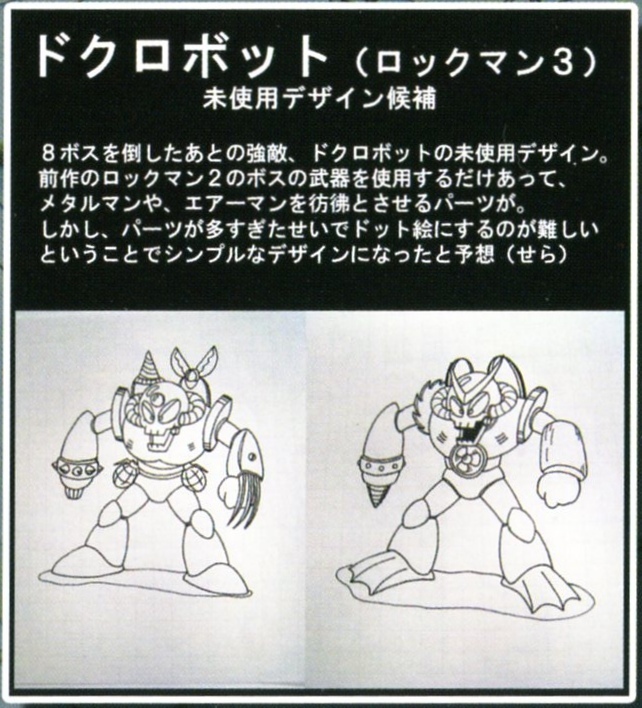 The design on the right is a mish-mosh of parts from the RM2 robot masters like the legs of Bubbleman, the chest of Airman, arm parts of Woodman and Crashman, one shoulder “blade” from Metalman, and the boomerang helmet-horns of Quickman. The final design does feature some generic elements from both these concepts. For more information on Doc Robot, why not try A Critical Look at Mega Man 3 Stages: Doc Robot K-176, or check out your local library. 7 Comments to "What’s up, Doc?" Trivia: Mega Man 3 was my first MM game, and I knew nothing about the series before I picked up the title on a whim. In other words, I had nooo idea what was going on through the second half of the game. I think that kind of thing happened so often for me in NES games in general, a lot of the time you just had to accept whatever lunatic twists a game threw at you. Almost like to trying to read a picture book drawn by a 5 year old. Stuff just happens. 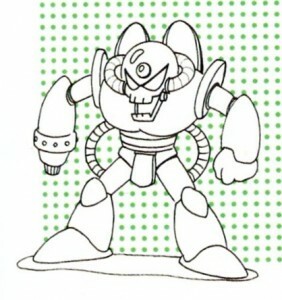 I like those preliminary designs, and just wish they’d bring back Doc Robot at some point. 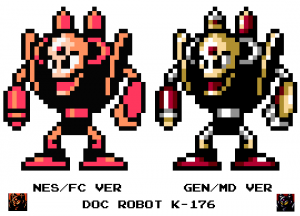 Actually, those last two gestalt versions remind me a little of the Robot Masters seen in one (or both?) of the Tiger Electronics handhelds. Something else is that I remember reading a magazine before playing the game– possibly using the Japanese version for a preview– and they said that what we were seeing was literally the ghosts of the series two RMs inhabiting the Doc Robot bodies. After seeing those, I thought it would have been neat to have 4 differently detailed doc robots, with mixed attributes from the two robot masters being emulated in each stage. But what we got in the end wasn’t bad either. I would like to see them return too. Wily Archive was cool, but it doesn’t have the same presence, the same fear factor, the same pain-in-the-rump factor as the Doc Robot models. What’s this nonsense? I go away for two weeks, and you start making all kinds of posts on your blog? Madness! Madness, I tell you!! 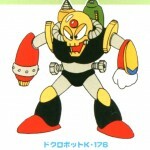 Doc Robot was certainly one of the craziest opponents in the early times of the series. I absolutely loved the Wily Archive deal too, especially how you run into the first battle right after starting the level. Pattern-breaking surprises are fun once in a while! That rainy section before the first Archive round, before the music changes… chills, man. Gave me chills.